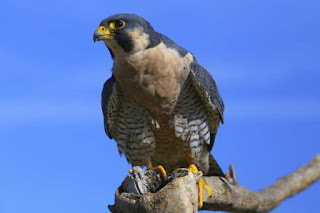 It might come as a surprise for many people, but the fastest bird on the planet is actually a bird - the Peregrine falcon (Falco peregrinus) with its amazing ability to clock a speed of 200 mph in air. That makes it nearly three times faster than the cheetah - the fastest land animal with a speed of 70 mph. In level flight, the peregrine, with an average speed of 40 mph, is not even quick enough to catch a pigeon.